"Why You Can't Teach U.S. History Without American Indians." 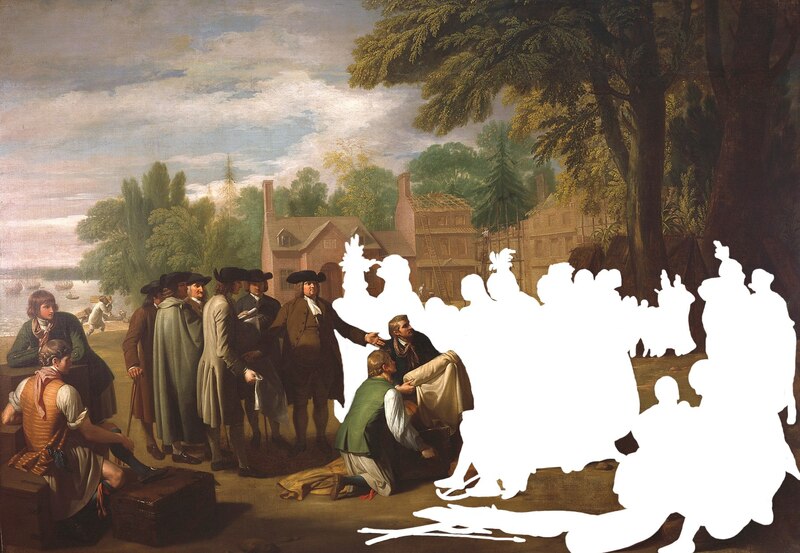 An edit of Benjamin West's painting, "William Penn's Treaty with the Indians when he founded the Province of Pennsylvania in North America"
Since the mid-1990s, the Early American Matters Caucus has been addressing pre-1900 American studies topics, broadly understood. We’re a collegial, friendly group, and we do our best both to cultivate a sense of community among pre-1900 Americanists and to bridge early topics with later ones. We co-host a reception at every annual meeting and we're very active on Facebook. The Early American Matters Caucus welcomes scholarship on the colonial, early national, antebellum, and postbellum periods as well as on such topics as race, gender, sexuality, disability, class, indigeneity, science, technology, language, slavery, geography, medicine, and the law. Our interdisciplinary membership includes colleagues who are also involved in such organizations as the Society of Nineteenth-Century Americanists, ASECS -- and its American affiliate, the Society of Early Americanists, as well as the SEA’s new Junior Scholars’ Caucus -- and the ASA’s Environment and Culture Caucus. Looking forward! Caucuses offer a unique balance within the association between informal collaboration and organized structure. These groups are open to all members and are largely driven by volunteer efforts. If you are interested in pursuing a leadership role within this caucus, please contact a caucus coordinator listed above for more information.